Galway girl group song with mumford & sons, Edward sharpe, Ben Howard, ham sandwich, has any one seen the vaccines..... July 14th 2013. Sorry the sound quality is rubbish! Chords for Mumford & sons - Phoenix Park - Galway girl - Dublin 14th July 2013. 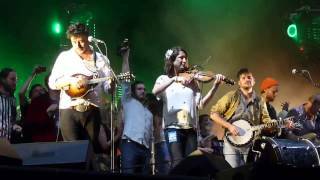 ... Chords for Mumford & sons - Phoenix Park - Galway girl - Dublin 14th July 2013.